Techniques and resources for helping students prepare for the new ILEARN Assessment along with SAT, ACT, and College Placement Testing will be discussed and modeled. Many resource for the best supplemental materials and easily accessible and ready to work math problems will be shared. Proven methods to help your students perform better and score higher will be shared during this workshop. Presented by Bill Reed. 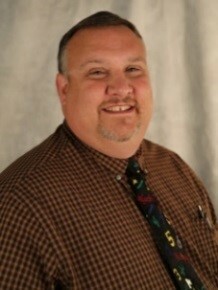 Bill Reed is the Regional Director for Central Indiana GEAR UP schools specializing in Mathematics. He works with Central Indiana GEAR UP schools, teachers, and students. He assists students with tutoring and S.T.E.M. educational opportunities. He assists schools and teachers observing and giving feedback on educational prodigy, helping with mathematics instruction, and giving teacher professional development. Prior to working with Indiana GEAR UP Bill was a Secondary Math Teacher for over 31 year until he retired. He then worked for the Indiana Department of Education as the Secondary Math and S.T.E.M. Specialist since 2013.